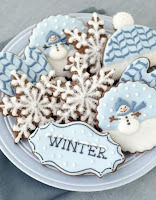 I hope you are all enjoying the holiday season. 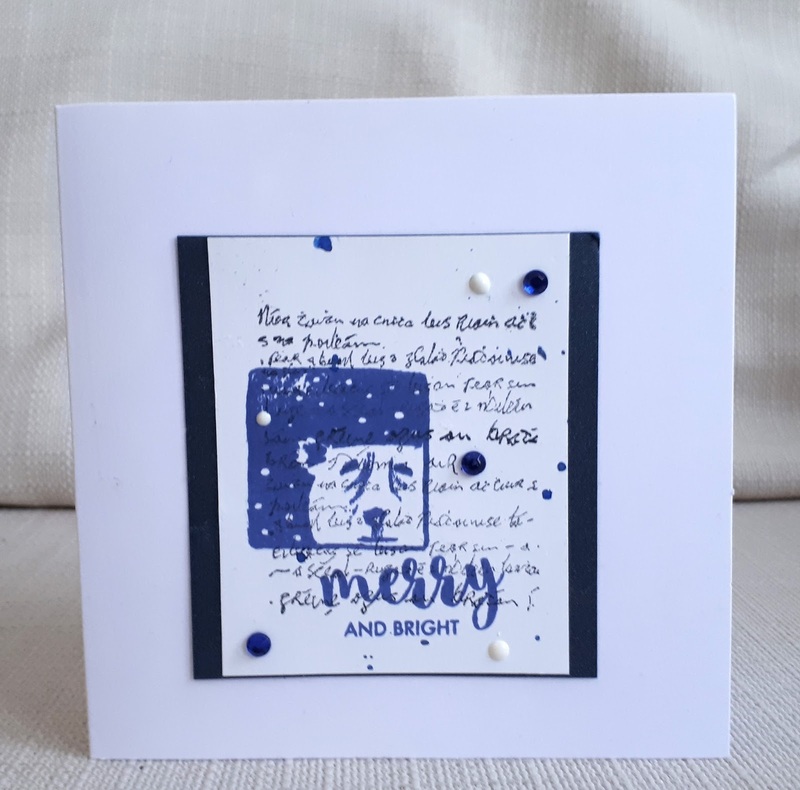 I stamped a text stamp in black ink and then stamped the polar bear (Magenta) over the top in blue ink. The sentiments are Avery Elle and I added ink spray splatters, gems and white enamel accents. 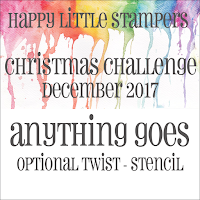 We have a wonderful Guest Designer, Laurie, and I hope you will go over to the challenge blog and see what she, and the rest of the DT made, before entering your own stamped project. 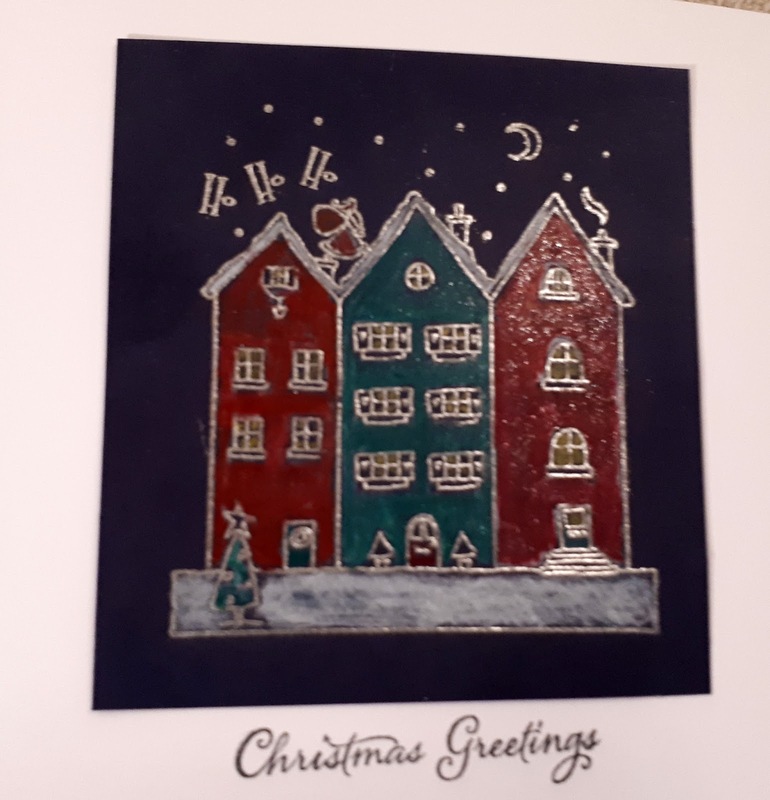 Here's a picture I made as a Christmas present for a 3 year old. 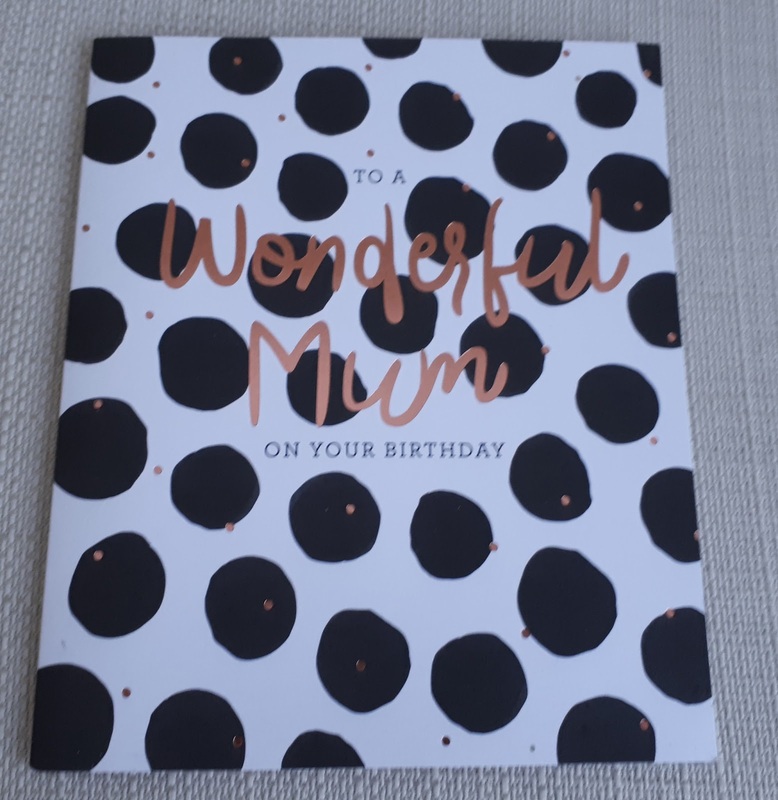 I was with his mum recently and she was looking at a print for his bedroom but it cost too much for her to buy at that time. 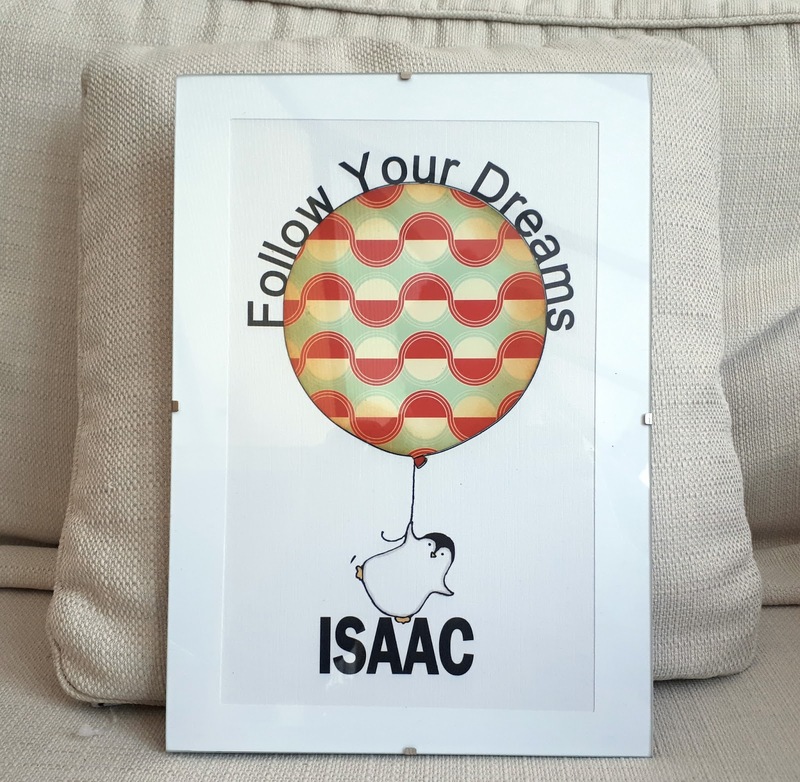 The print she looked at had a penguin , a balloon and the words 'Follow your Dreams' - so I decided to CASE it and make my own version. 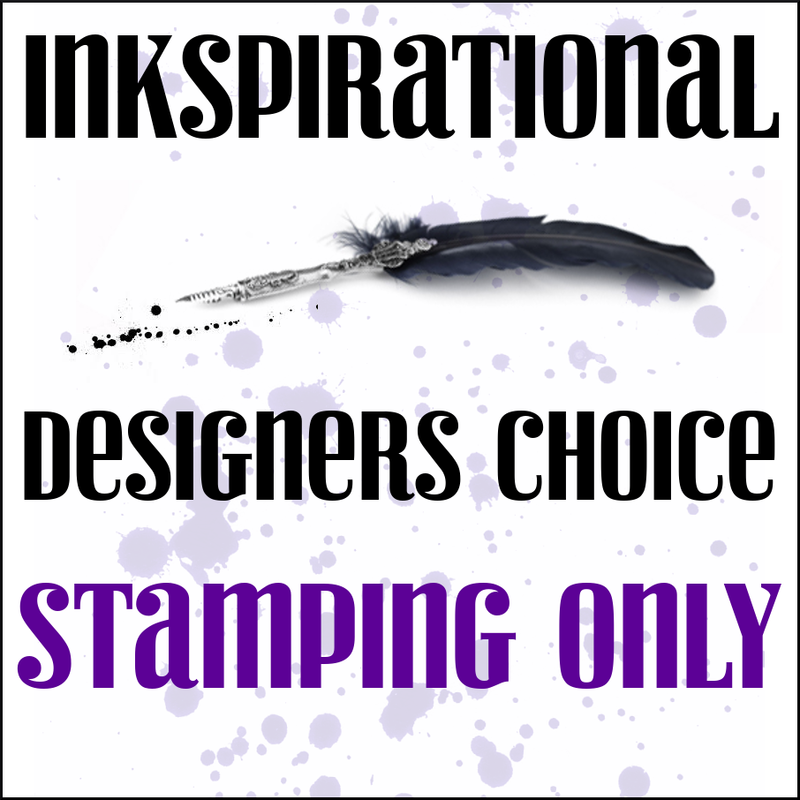 The penguin is a digital stamp from A Day for Daisies. The original image is holding a balloon but I wanted a bigger, rounder balloon so I googled for a balloon image and traced it in Silhouette studio. 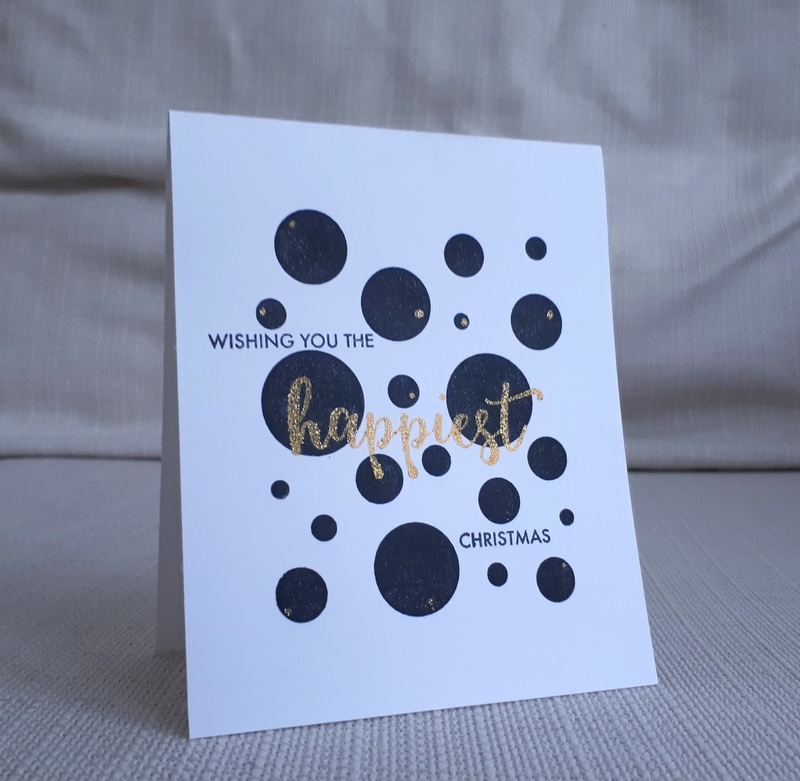 After arranging the outline images and words, I printed them onto linen effect card. I lightly coloured the penguin. I cut the balloon out of patterned paper, inked the edges and pieced it onto the picture. I cut a mount frame and then put it all into a clip-frame. 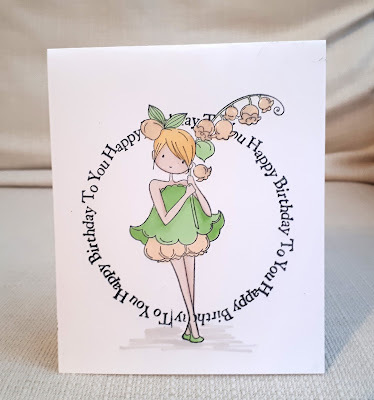 Happy Birthday to Shauna, my wonderful, talented team-mate from Inkspirational. This is the card which is now in her possession. I used a flower stamp from W plus 9 and heat embossed it in white and then coloured it with powdered paints, (I can't remember whether I used Brushos or Lindy's Stamp Gang Magicals, or a combo of the both). 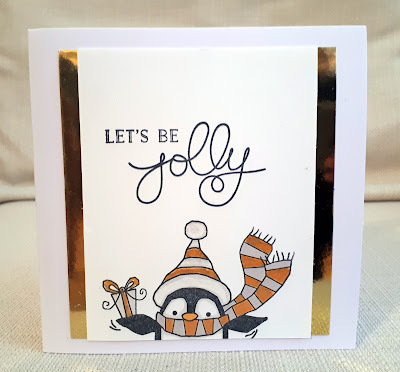 It was one of those cards that's quick and fun to make and takes more time to clean up afterwards! Have a great day, Shauna. 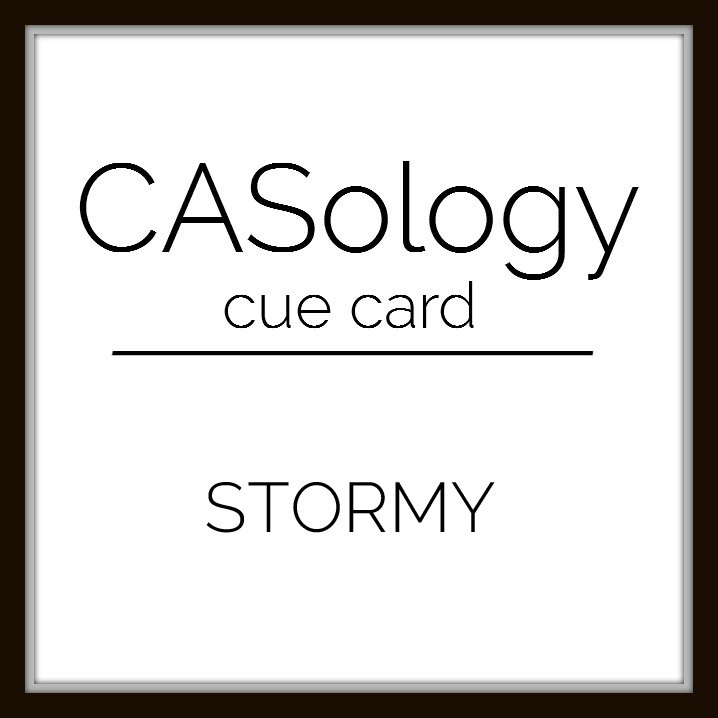 This cards is for my self-imposed challenge , Pro-Am Showdown, where I CASE a mass-produced card to make my own, amateur version. For my card I used a toucan stamp by My Favorite Things (it's the set with the girl in the grass skirt) . 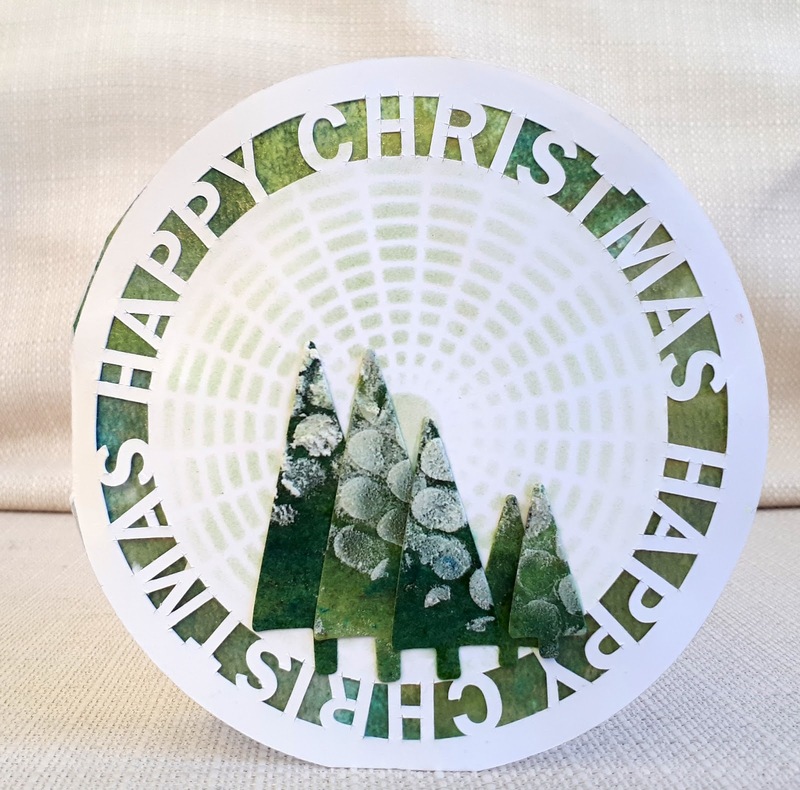 I masked it and stamped the circular sentiment (very old, brand unknown). I know people usually use grey markers to colour black but I wanted to mimic the sketchy look of the original and so I used a black marker in a kind of scribbly way. The leafy paper was a magazine freebie and I finished with some sequins. By the way, when I came to cut out the mask, I struggled to find a pair of scissors to cut it - and I have several pairs. Either a craft thief broke in during the night or it's time for a tidy up! 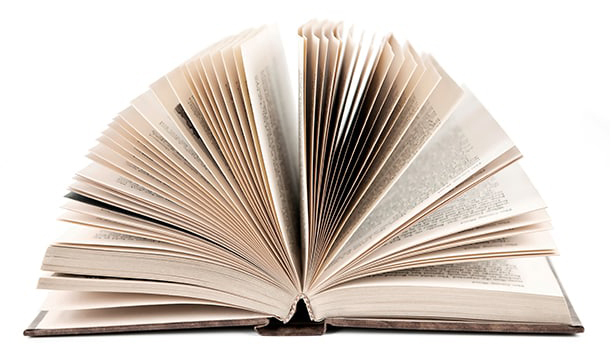 I think most hobbies seem weird to others. My partner chuckles when he sees me reading 'Craft Stamper' magazine, seemingly oblivious to the comedy value of 'Bus and Coach Preservation Monthly'. He asked me to make some cards for his classic bus enthusiast friends. He found a photo in a book of a bus stuck in snow and I scanned this for the image. I used a mix of die-cuts, stamps and punches for the sentiment and embellishments and added clear gems for extra-Christmas-ness. He was really pleased with them and in fact, got me to make one more after the photo was taken. 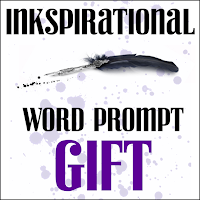 Our new challenge at Inkspirational is the word 'gift '. There are two small children who live next door to us and I made these novelty boxes to fill with chocolates and give them as a small gift. 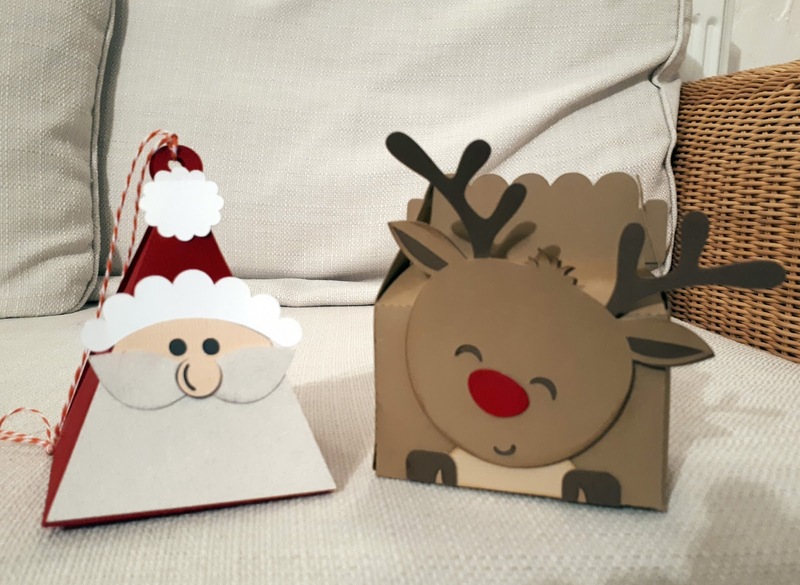 I used the Silhouette cutting machine and used the cutting files pretty much as intended, so there is more craft than creativity on my part. I suppose it's like using a dress or knitting pattern and ending up with the garment on the packet. 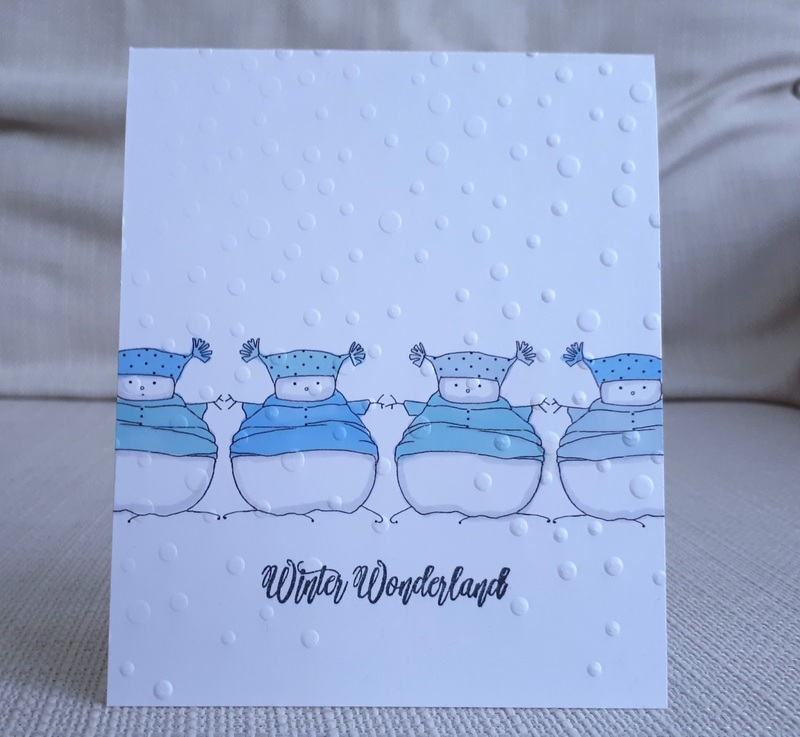 Our Guest Designer is Valentyna so I hope you will visit the Inkspirational challenge blog to see what she's made, and also the rest of the Design Team - then enter your project. 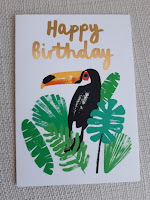 It's Carol's birthday! 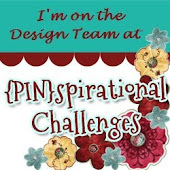 Carol is a fabulous crafter and a wonderful team-mate at Inkspirational. 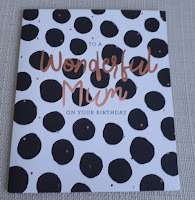 This is the birthday card I hope she's now received . I used a Stamping Bella image, a My Sentiments Exactly sentiment , Promarkers and gloss. 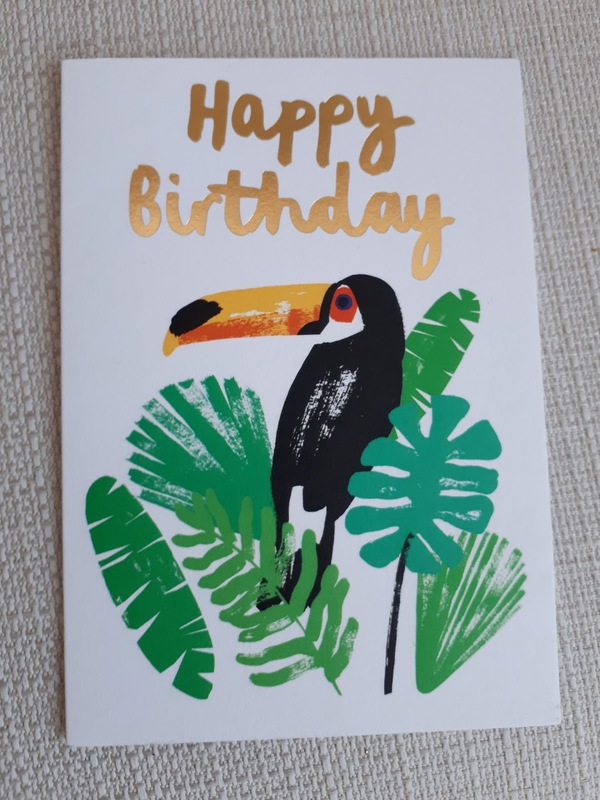 Carol, I hope you have a great day. 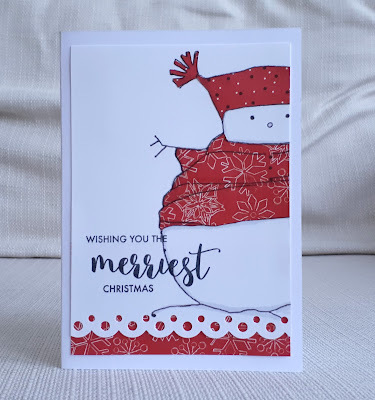 I actually made this card a little while ago and forgot that I hadn't posted it. 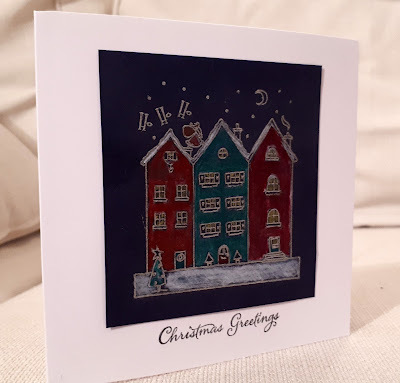 I've pretty much finished making Christmas cards now - I'm still desperately trying to get them written and sent out! I used a Hero Arts spots stamp and some Avery Elle sentiments with glitter embossing powder for the 'happiest' and small spots of gold glitter. 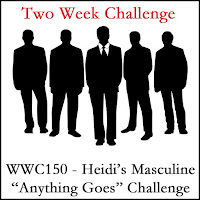 Sounds simple - but in fact this was my zillionth attempt as things kept going wrong! The Male Room - although this was based on a card for a mum, I actually think the design works for a male Christmas card. This week at City Crafter , Amy wants us to use a Christmas tree on our projects. For my DT project I first cut out the card base on the Silhouette using a cutting file. I backed the front panel with some inky paper I had made some time ago . 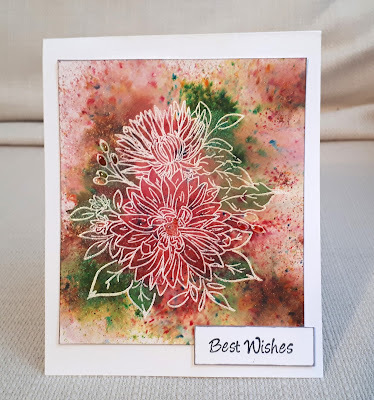 I stencilled te card base with a radial pattern. The Christmas trees were die-cut from a tag that I'd made using ink, stencil and texture paste - I'd never really finished it, so I repurposed it here! 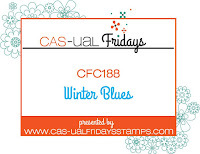 I know some stampers don't like to use digistamps and feel that they are 'cheating' - but I don't agree. 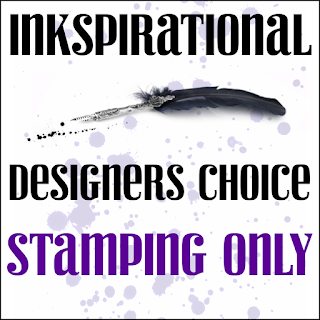 I just see rubber/clear stamps and digital images as two different mediums, each with their own advantages. For me, the big advantage of using digis is the ability to resize, which makes them so versatile. Here, I printed this A Day for Daisies digital image very large and cropped a third of it away. I shaded him with a grey Promarker and paper- pieced his clothes. 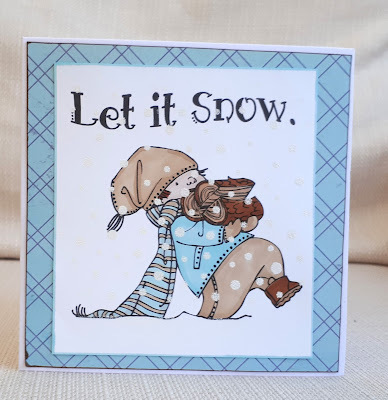 I made a border with a Martha Stewart punch and stamped (physical stamps this time) the sentiment using an Avery Elle set. 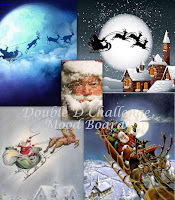 So here I used the same digi, but this time sized small, duplicated and some of them flipped to mirror each other . 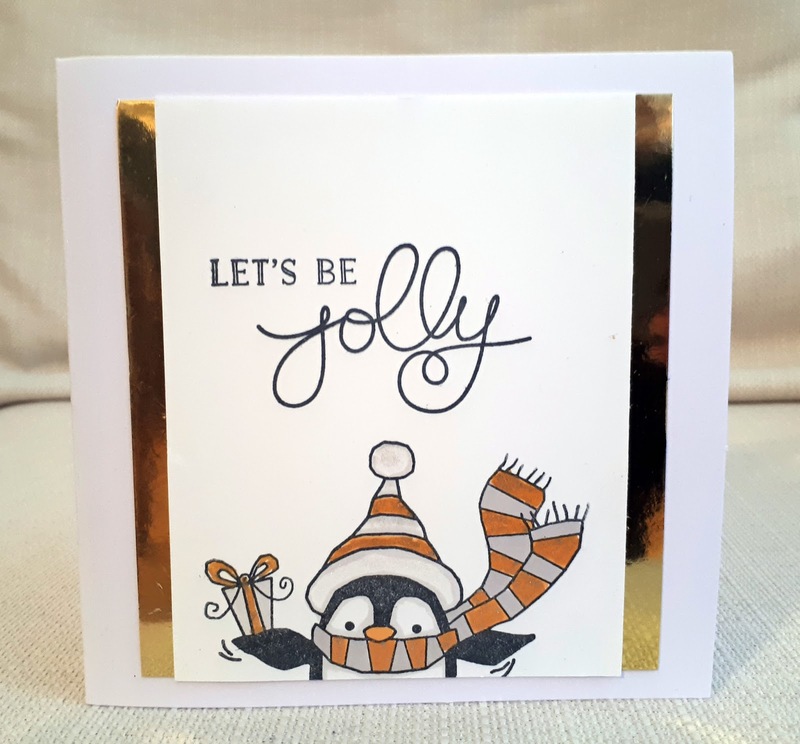 I coloured them with Promarkers, stamped a Penny Black sentiment and embossed it with a Taylored Expressions embossing folder. 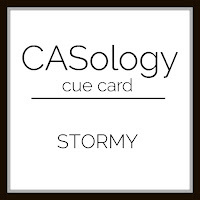 Casology stormy - I think that's a snowstorm! 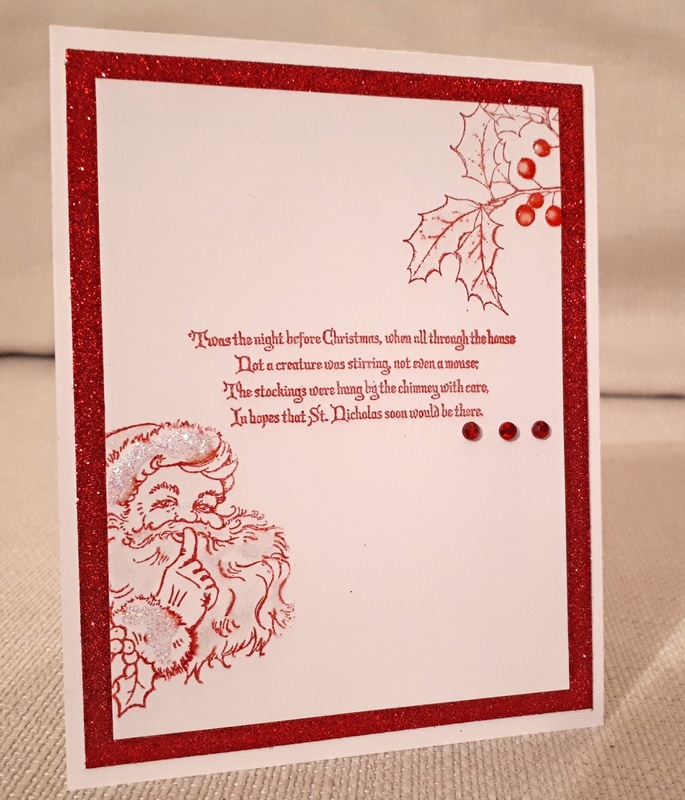 It's the ninth of December and I still haven't achieved the goals of my self-imposed challenge , Pro-Am Showdown, where I CASE a mass-produced card to make my own, amateur version. I'd better ramp up my productivity if I don't want to have an epic fail! 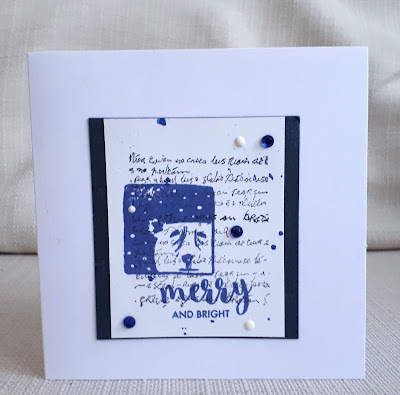 For my amateur version I used a Little Claire stamp, which I heat embossed in silver on a navy cardstock. I coloured the scene with Polychromos pencils, which I'm not very good with tbh, but I felt the colouring looked better after went over it with a Spectrum Noir clear shimmer pen. Here's a card inspired by some challenges. 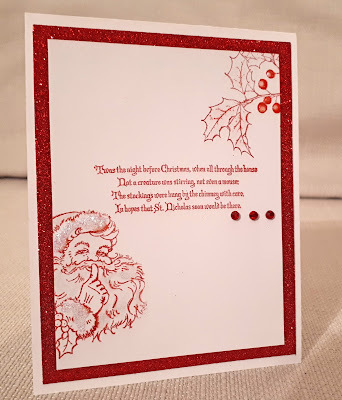 The santa and verse stamps were from a magazine freebie set (years ago), the holly is an old Hero Arts stamp and I used glossy drops, glitter glue and shimmer pen. 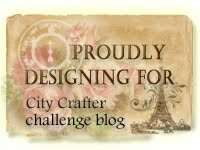 City Crafter Challenge Blog - Where did you get that hat? 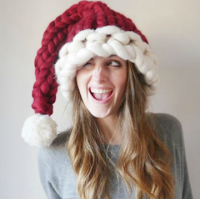 This week at City Crafter, I'm challenging you to feature a hat on your project. For my DT project I used a digi by Mo's Digital Pencil, which I coloured with Promarkers. The sentiment was also in the set and I noticed the little dots around the L and the S and decided to put little dots onto his clothes. 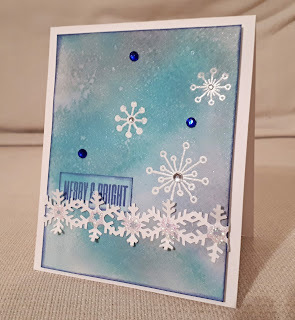 Then I added snow using a stencil and white embossing powder. Use Your Stuff woodgrain - hope this qualifies as it's on the logs. 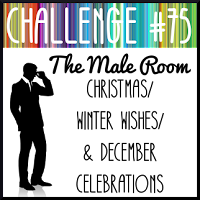 Not for the first time, I made a card specifically for a challenge and am now worried about whether it fits the challenge at all. 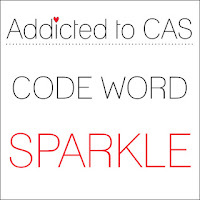 Well, I think it matches the sketch but...is it cas??? 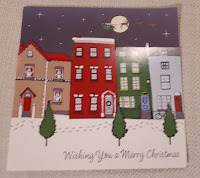 Anyway, it's another Christmas card to add to my stack ( must get on to writing and sending them!) . 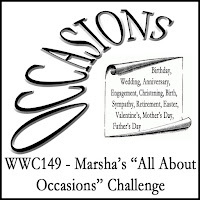 I used Paper Artsy stamps, Distress Inks for the background and a Martha Stewart punch. 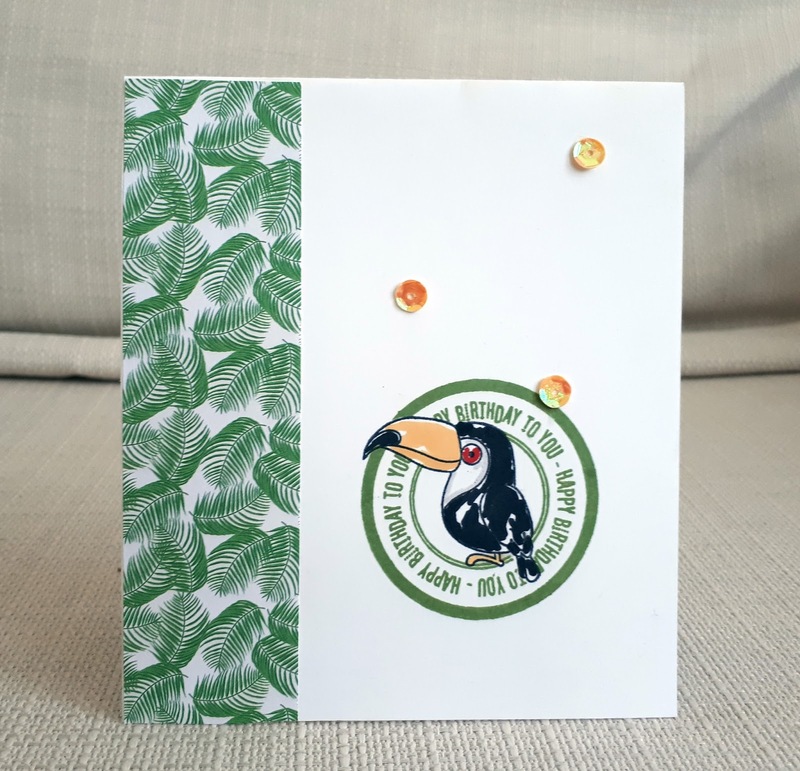 Here I used a penguin stamp by Woodware, It is quite a big stamp, so I just stamped the top half of it. I coloured him with Promarkers and gold Nuvo glitter pen. I also used clear shimmer pen on the white bits of his hat so it's all quite glittery. The sentiments are Mama Elephant. 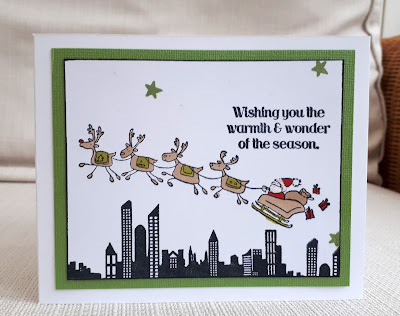 Here I've used a Santa's sleigh stamp by Penny Black, with a Stampin Up sentiment and a cityscape by Kaisercraft.